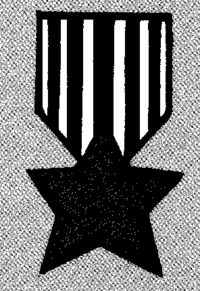 Bronze Star as it appeared in Claw Marks. The Bronze Star was a Terran Confederation military medal. It was awarded for exceptional bravery under fire. This page was last edited on 1 October 2007, at 19:10.